The Ohio Association of Gerontology Education (OAGE) 41st Annual OAGE Conference recently took place on Friday, April 21st, 2017 at the University of Toledo. At this conference, College of Social Work PHD Candidate Kathy Lee presented a paper titled “Informal Caregiving in the Context of Race, Ethnicity, and Economic Resources: Implications for Health”. The purpose of Kathy’s study was to use the conceptual model of caregiver stress (Pearlin et al., 1990) to investigate the relationship between race and health among caregivers, and whether economic resources have a differential effect on health. 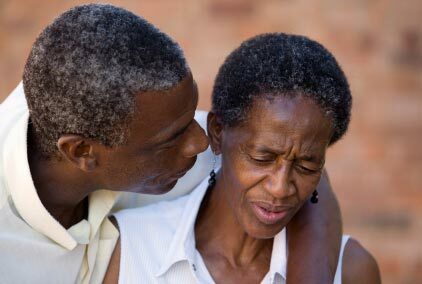 Through her research, Kathy found that racial minority individuals tend to rely on family members for long-term care; however, their usage of public or private support programs and services is minimal. Working racial and ethnic minority caregivers also feel greater stress compared to non-working caregivers. Additionally, Kathy found that racial and ethnic minority family caregivers did not necessarily see financial hardship while caring for their family members although they tended to be poorer, which in turn affects their health and well-being more than white family caregivers. Overall, family caregivers are more likely to live in poverty and receive Supplemental Security Income (SSI) than non-family caregivers (Gordon & Barrington, 2016). Unfortunately, not all working family caregivers of older adults are currently protected by federal employment laws (Williams et al., 2012), and options are still limited. Other OSU presentations included a poster titled "An Overview of the benefits of Water Aerobics in Old Age" by Abby Bower and a workshop presentation titled "Professional Counselors and Interprofessional Collaboration: Building Communities to Care for the Whole Person " by Sean Gorby and Matthew Fullen. Copyright © 2013 The Ohio State University College of Medicine and the Office of Geriatrics and Interprofessional Aging Studies, All rights reserved.